As well as standard ClubTurf Match and Practice Pitches, a number of optional extras are available to meet specific requirements. Extending the area behind the bowling end with ClubMat caters for bowlers with longer run-ups, without transition from natural to artificial surfaces. This reduces the chance of grass and mud being brought onto the artificial surfaces and creating possible slip hazards. Any other lengths or widths prices are available on request. 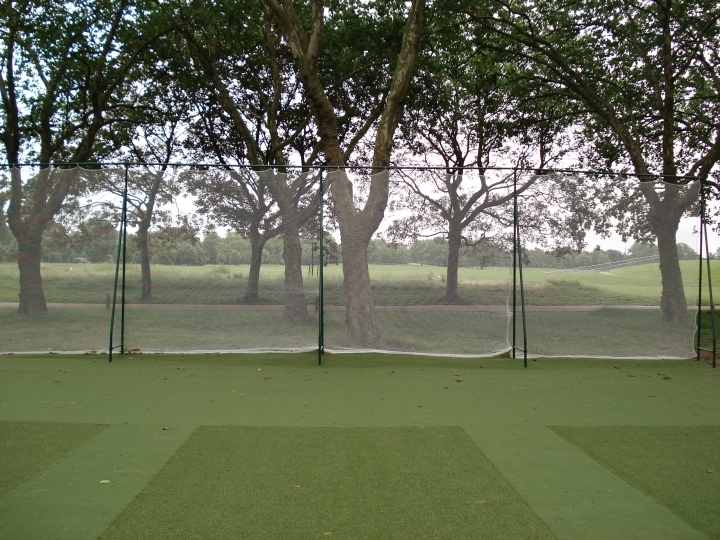 An extra section of netting behind the bowlers helps to reduce the number of balls that get hit out of the practice area. By using smaller gauge white netting this effectively becomes a sightscreen to improve visibility for the batsmen. 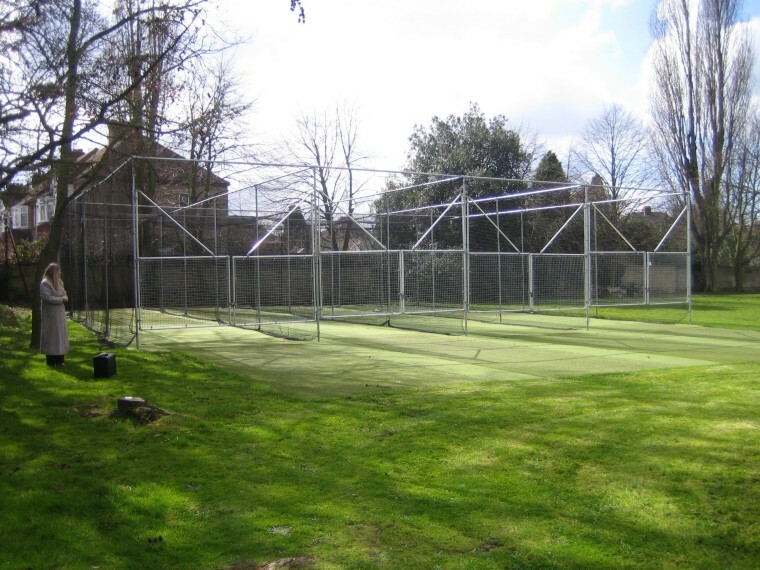 All sightscreen nets come with patented out-riggers for added stability. Prices for larger or bespoke sizes are available on request. 1 £840.00 + VAT. £880.00 + VAT. 2 £1,200.00 + VAT. £1,280.00 + VAT. 3 £1,560.00 + VAT. £1,680.00 + VAT. 4 £1,920.00 + VAT. £2,040.00 + VAT. To prevent unauthorised use of practice pitches special gates can be fitted to the net-cage. Prices for further multiples available on request. It is sometimes advisable to protect a practice facility against misuse or vandalism with galvanised weldmesh or palisade security fencing. Please click the link below. Our little sister company Underwood Agencies can provide a wide range of Mobile Cages which can either be ordered through ClubTurf or with Underwood Agencies direct. Please click the link below to view the mobile cages available. If you wish to return to the ClubTurf website either click back on your web browser or click the ClubTurf link on the Underwood Agencies website.